A friend shared this recipe and I HAD to try it! Let’s just say it didn’t disappoint! So yummy and easy to make! This is an amazing dish! Perfect for anyone, including those who don’t typically like fish. My kids loved it! The recipe calls for 1 cup of sugar but for a low carb option, you will want to replace that with either Splenda, Swerve, or stevia. The amounts will be different, depending on your taste. You can even omit the sugar or sweetener all together if you like. Lobster is a sweeter tasting fish so to make Poor Man’s Lobster you’ll want to add some sweetness to the recipe. This is an easy to make recipe the family is sure to love! You can use frozen cod for this and it actually turns out better! Enjoy! Photo credit to Lisa Whipple – Thanks Lisa! Take aluminum foil and wrap your broiler pan in it, then spray with cooking spray. Ensure the foil outlines the grooves on your broiler pan. That way your fish isn't sitting in the liquid on the pan. You can also use a cookie sheet but you'll want to remove excess water after boiling. Place cod in a pot on your stove top. In a bowl mix water, Swerve, and salt, then pour over fish. fish should be fully covered in the pot. Bring contents of pot to a boil over a medium-high heat. Boil for 3 to 5 minutes depending on the thickness of the cod fillet. Remove fish from water, carefully keeping fillets intact and place on broiler pan. If you are using a cookie sheet make sure to remove excess water first. 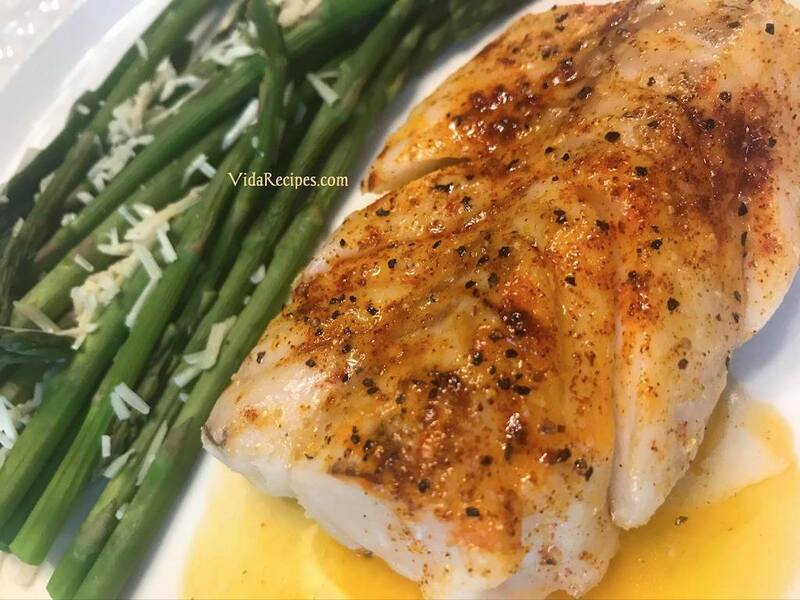 Brush fillets with melted butter, and season with lemon-pepper and paprika. Squeeze some lemon juice over the top. Broil for about 7 minutes on low or until the fillets flake easily with a fork. Serve with melted garlic butter. How much swerve do you use? Swerve isn’t in the ingredients list. If you use monk fish, you can eliminate the sweetener. It all ready has a sweet lobster taste.